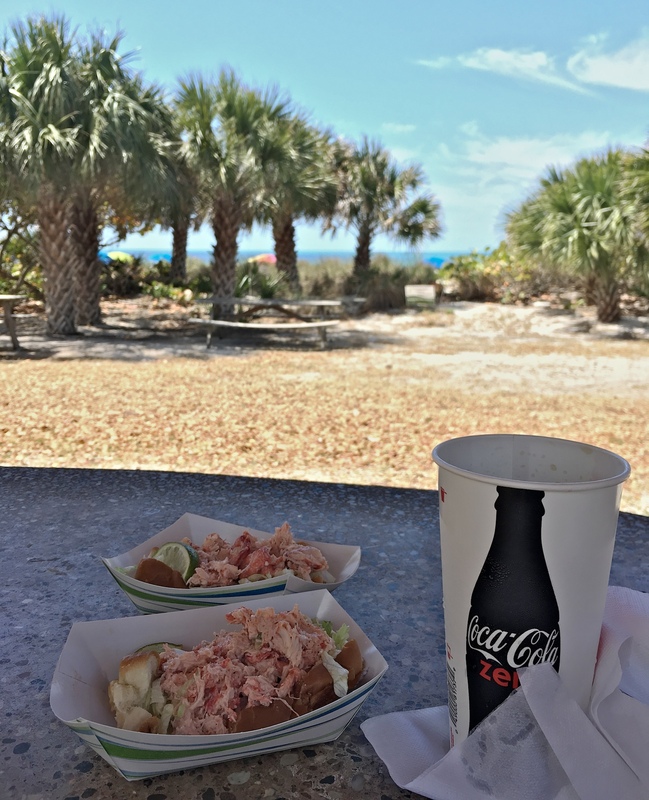 This is part three of the Sarasota Wiki Vacation series. 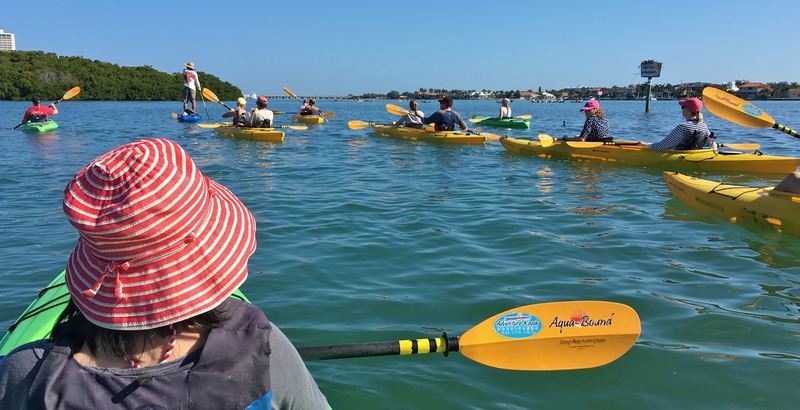 This trip to the Sarasota barrier islands yielded a large number of pictures which I’ve added to various Wikipedia articles. The unusually-long post I wrote became too long and unfocused. It is about 90 pages long. I am now breaking it up into specific posts by location and theme. 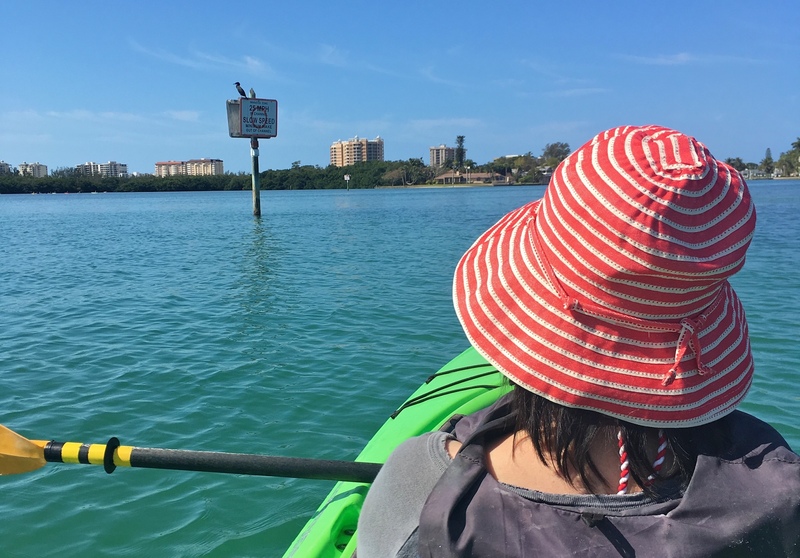 This one is about our trip to Lido Key, comprising an ecotour in the morning of the Sarasota Bay and its red mangrove trees, and a visit to the Lido Beach in the afternoon. We didn’t have to agonize over itinerary on day four. 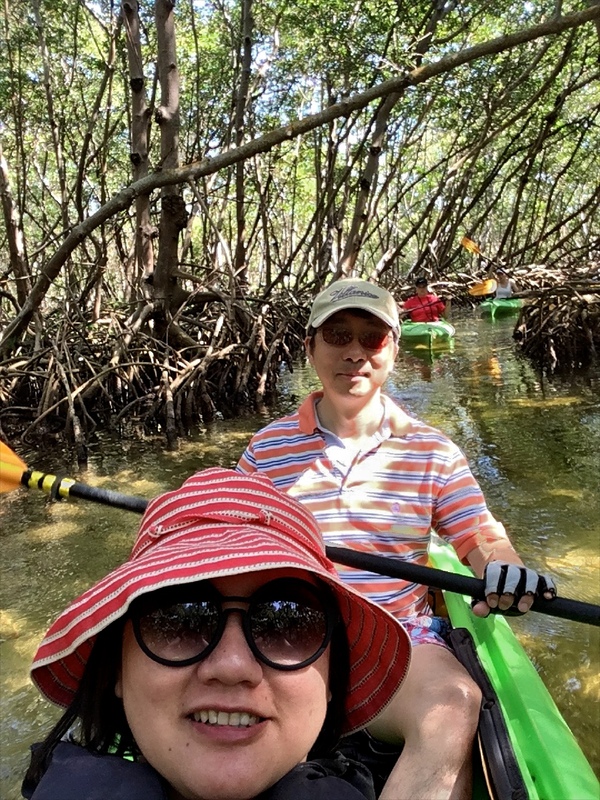 We signed up online, for a guided kayak ecotour the day before, with Adventure Kayak Outfitters. 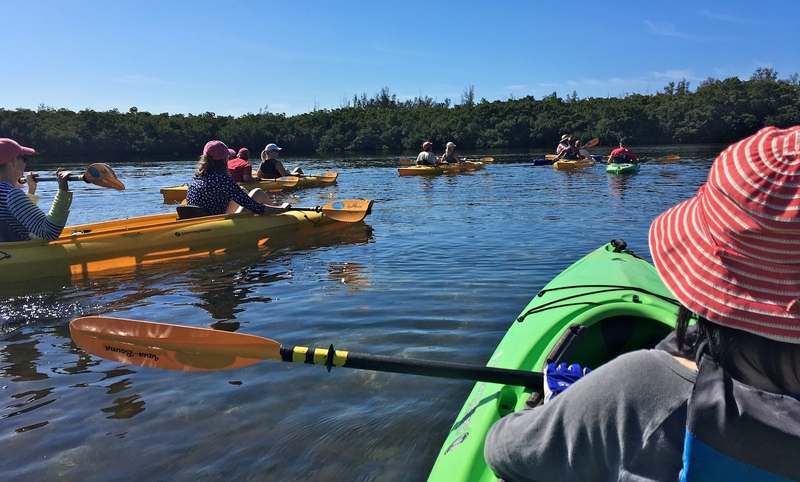 We launched from the South Lido Park at Lido Key, with a crew of a dozen kayaks, some singles and others tandems. 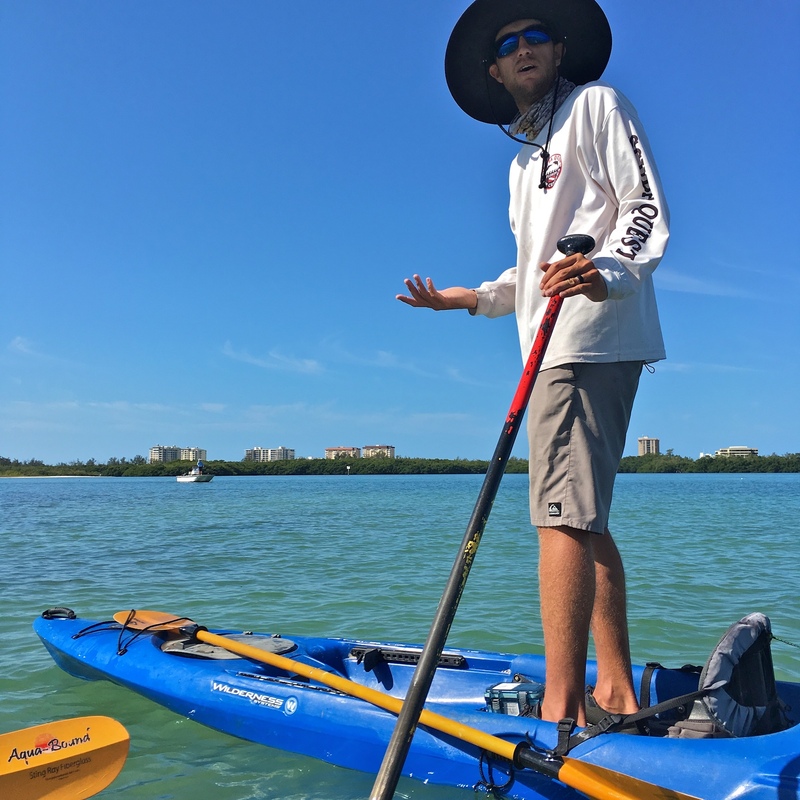 Our fearless leader, Dan, stood up to look for signs of manatees and dolphins in the Sarasota Bay. 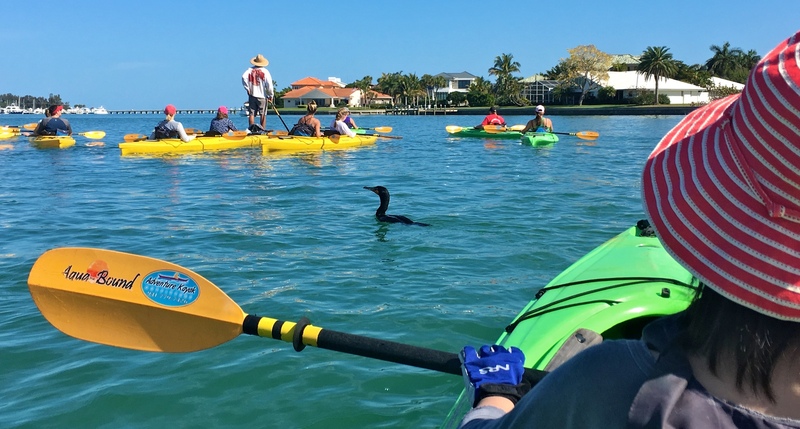 In fact, he paddled standing up throughout the whole segment of the tour where the fleet was on the bay. Dan did spot a dolphin soon, and we all oohed and aahed as we watched the dolphin breach. It never did swim close to us, however. But we watched it zigzag from one side of the bay to the other and back. Then it headed off towards John Ringling Causeway, and was gone for good. 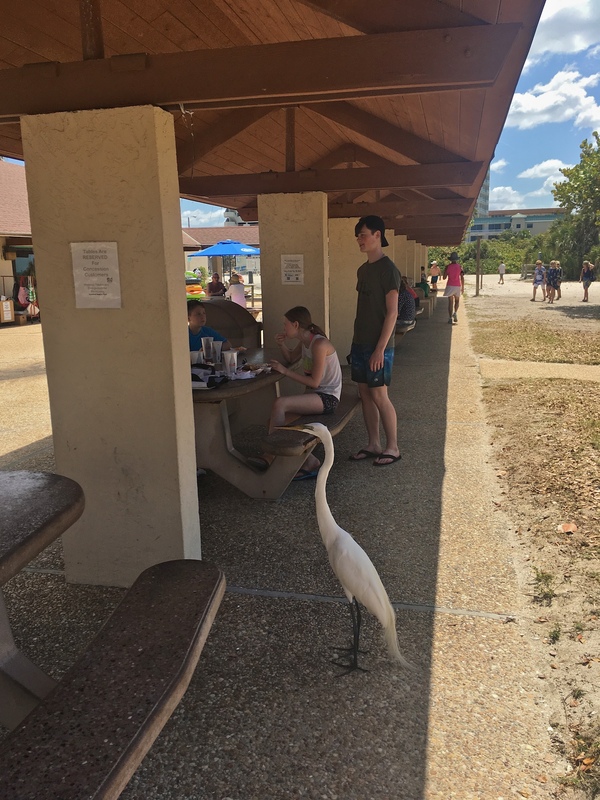 Dan also spotted a manatee far away. The most we got to see of the manatee was its nose which surfaced a few times. But its huge body under the surface was unmistakeable. 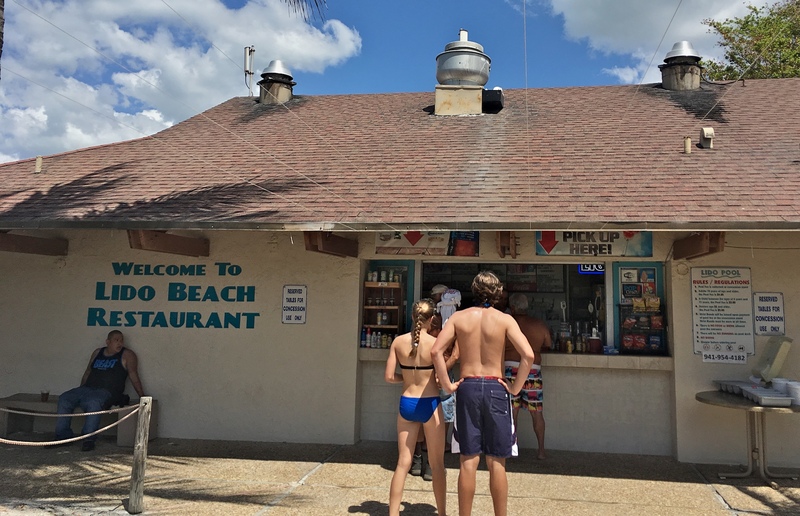 Sadly, I was too focused looking at that giant shadow of a manatee to take pictures. 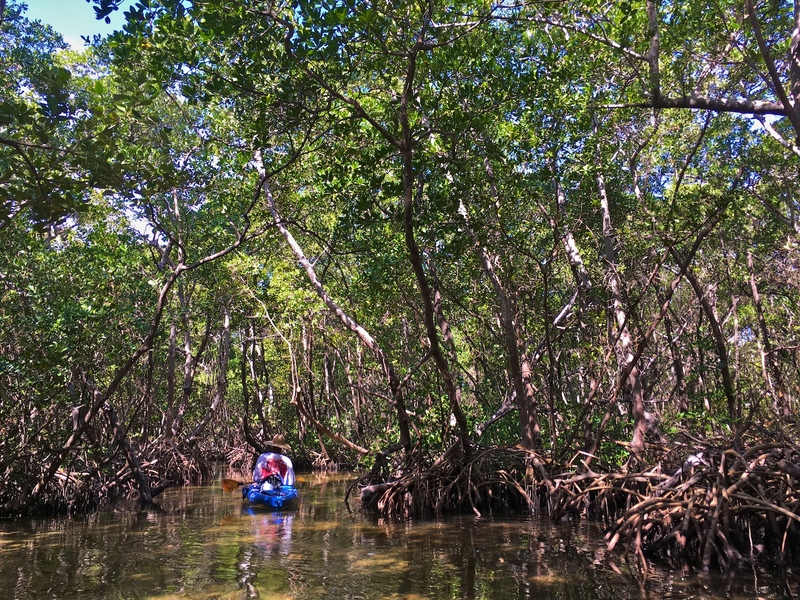 We tunneled through the red mangrove trees, or rather their roots. 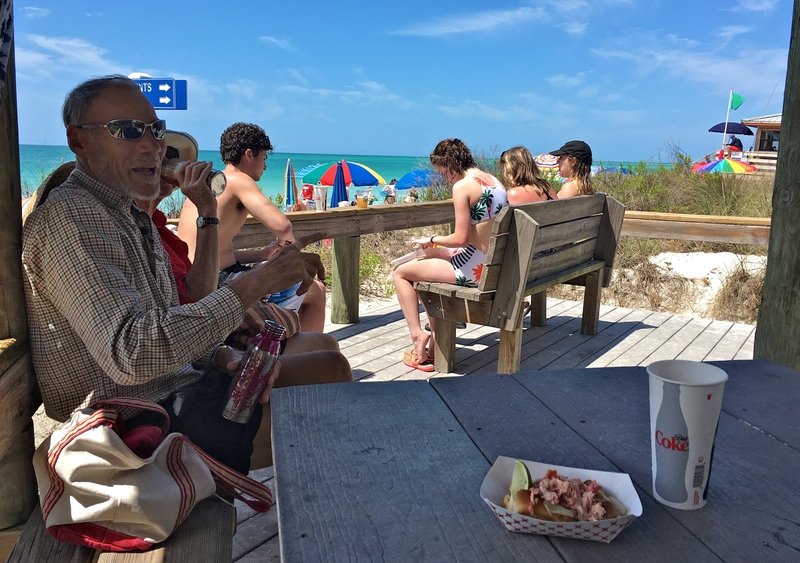 The kayak guide Dan told us that Lido Beach Pavilion made mean lobster rolls. They were of bigly value given their high quality against the low price. He was completely right. The brioche-like bread was sauteed with butter. 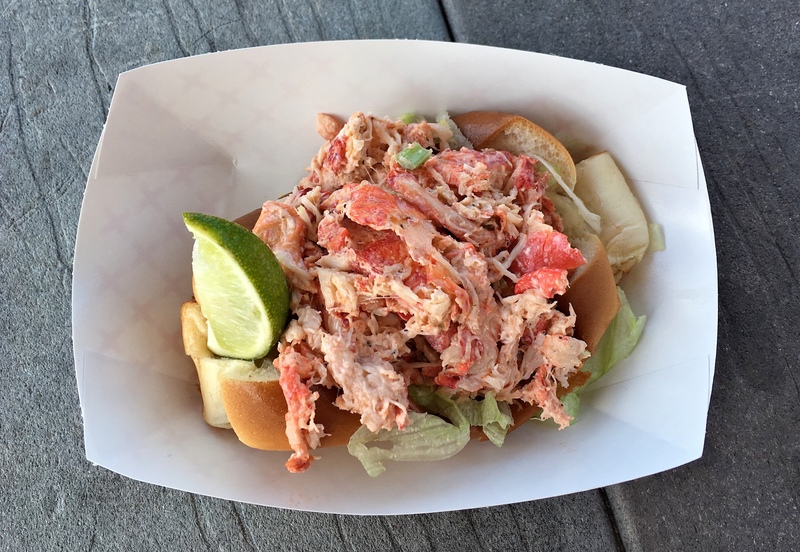 The lobster roll was fresh and delicious. 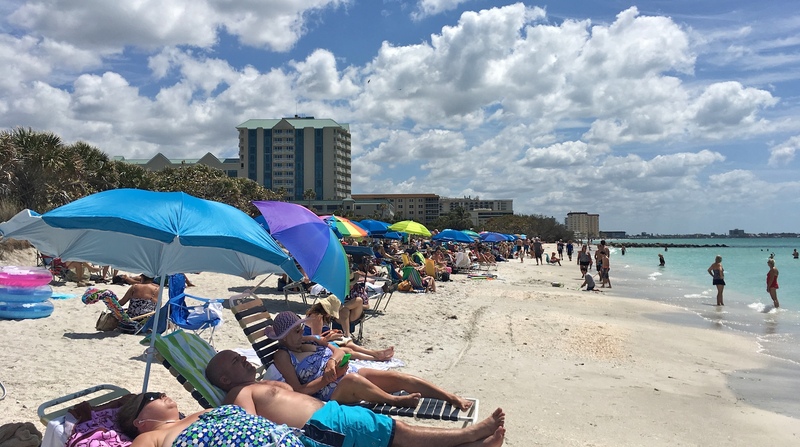 We walked around Lido Key Beach after our lunch. This is part three of a series. It follows part two: World’s Largest Miniature Circus. The full series can be found here on this 90-page-long post. 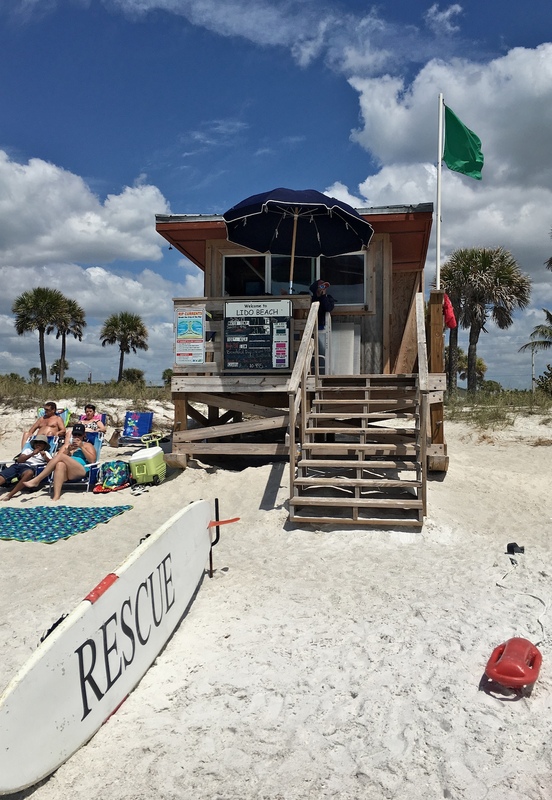 The next one is: part four – Siesta Key. 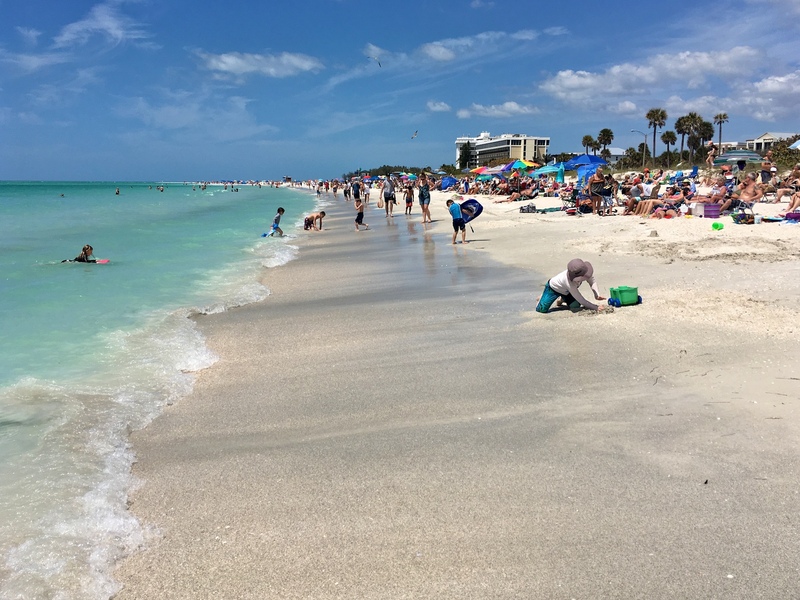 This entry was posted in Being a Wikipedian, Photography, Travel and tagged Beach, cormarant, Dolphin, egret, Florida, Kayaking, Kodak Moment, Lido Beach, Lido Key, lifeguard station, Lobster roll, Longboat Key, Manetee, osprey, Panorama, photos, Red Mangrove, Sarasota, Sarasota Bay, Sarasota Keys, seagulls, Travel pictures, White Sand Beach, Wiki Vacation. Bookmark the permalink.